Nagpur/Mumbai: Sixteen Naxals were killed in an encounter with police commandos and CRPF personnel in Gadchiroli district in east Maharashtra on Sunday, a senior official said. 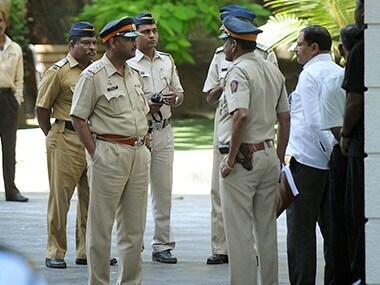 While senior police officers said death of top cadres in the gun battle is a possibility, Gadchiroli Police, in a press release, said the deceased included some high-ranking ultras. The encounter broke out at Kasansur forest in Bhamragad between the ultras and a joint team of security forces comprising C60 commandos, a specialised combat unit of the Gadchiroli police, and personnel of the 9th Battalion of the CRPF, around 10 am. It lasted for 90 minutes, DIG (Gadchiroli) Ankush Shinde said. "The ultras hiding in the forest started firing at the security personnel. The exchange of fire continued for about one-and-half hours. 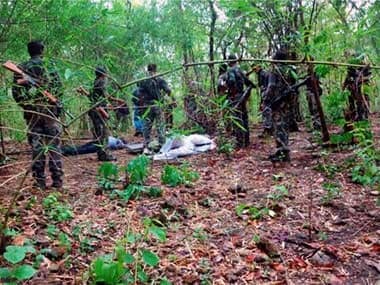 As per preliminary information, bodies of 16 Naxals were recovered from the forest," he said, adding that arms and Naxal literature were recovered from the spot. "However, I could give the exact number (of deceased) only on Monday," he told PTI. Shinde said there are reports of injuries sustained by the security personnel. On the identity of the ultras, he said, "There is a possibility of two 'DVC' — rank naxals Shrinu alias Shrikant and Sainath being killed in the operation." 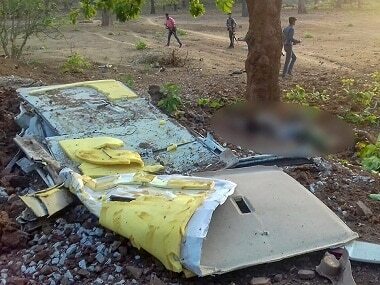 The DIG said the bodies of the Maoists killed in the operation are expected to arrive in Gadchiroli late in the night for identification. Addressing a joint press conference in Gadchiroli on Sunday evening, Inspector-General of Police, Anti-Naxal Operation, Sharad Shelar and local SP Abhinav Deshmukh said security forces came under fire from Naxals hiding in the forest. "The police fired in retaliation. A total of 16 bodies were recovered. There is a possibility of three to four women ultras among the deceased. However, it will be ascertained once the bodies arrive at Gadchiroli," Shelar said. Gadchiroli Police, in a press release, mentioned the names of some slain naxals, including Shrinu alias Shrikanth (51), a native of Challgari in Telangana, who was deputy commander. Another deceased ultra has been identified as Deepa alias Aamsubai, a native of Adilabad, who was involved in 82 cases of serious nature. Sainath alias Dolesh Madhi Atram, a resident of Gattepalli in Gadchiroli, who was a division committee member and Permili in charge was also among those killed, it said. Earlier on Sunday, Maharashtra director-general of police Satish Mathur congratulated the C-60 team which was involved in the encounter. He said there was a possibility that Naxal leaders of "DVC ranks," Sainath and Sinu alias Srikant, were among those killed. 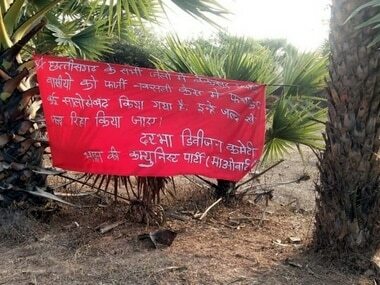 "This is the biggest success ever in the Dandakaranya area by any anti-Naxal force. There are no major injuries on our side," he said.